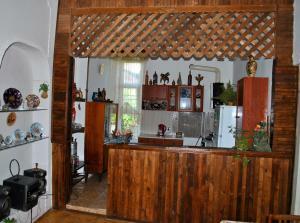 Guest House Nitsa is located 300 metres from the centre of Gori. Free WiFi access is available. Each room here will provide you with a TV, a computer and a seating area. 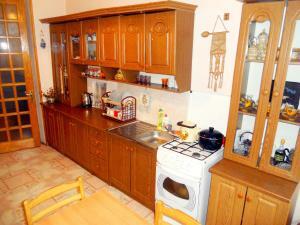 There is a full kitchen with a microwave and a dining table. Extras include cable channels. 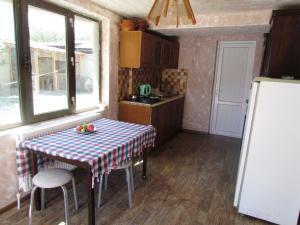 At Guest House Nitsa you will find a garden and a shared kitchen. Other facilities offered at the property include an ironing service. An array of activities can be enjoyed on site or in the surroundings, including cycling. The property offers free parking. Tbilisi International Airport is 79 km away. 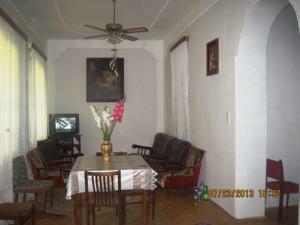 Guesthouse California is located in Gori. Free WiFi access is available. Each room here will provide you with a TV, a balcony and laptop. There is a full kitchen with a microwave and a refrigerator. 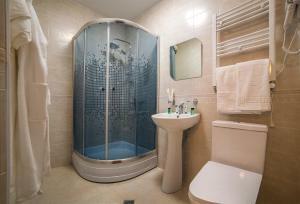 Featuring a shower, shared bathroom also comes with a bath or shower and a hairdryer. You can enjoy city view from the room. At Guesthouse California you will find a 24-hour front desk, barbecue facilities and a shared kitchen. 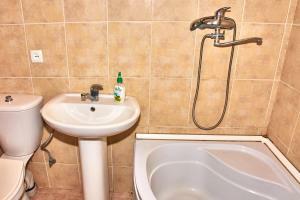 Other facilities offered at the property include grocery deliveries, a shared lounge and laundry facilities. An array of activities can be enjoyed on site or in the surroundings, including hiking. The property offers free parking. Tbilisi International Airport is 79 km away. 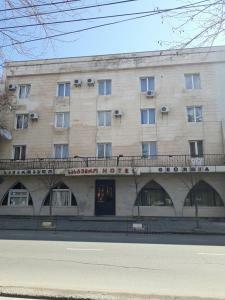 Hotel Georgia provides accommodation in Gori. 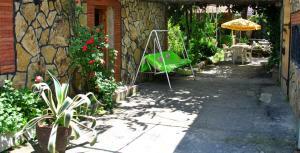 Among the various facilities of this property are a garden, a terrace and a shared lounge. The property offers a children's playground, a 24-hour front desk, and free WiFi is available. At the hotel, every room has a desk and a TV. 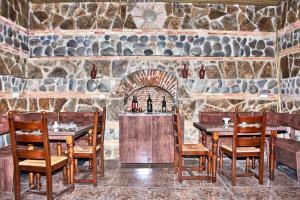 The rooms are equipped with air conditioning, and selected rooms are equipped with a patio. Guest rooms have a private bathroom. Guests at Hotel Georgia can enjoy a continental breakfast. Guests at the accommodation will be able to enjoy activities in and around Gori, like cycling. The nearest airport is Tbilisi International Airport, 49.1 miles from Hotel Georgia. 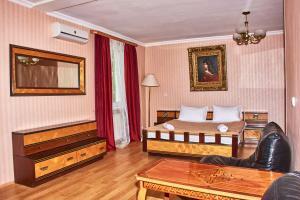 Royal House in Gori has 4-star accommodation with a bar. Free WiFi is provided. At the hotel, the rooms are fitted with a desk, a TV and a private bathroom. Royal House provides some units with mountain views, and every room comes with a balcony. Guest rooms at the accommodation include air conditioning and a wardrobe. Guests at Royal House can enjoy a buffet breakfast. The reception at the hotel can provide tips on the area. The nearest airport is Tbilisi International Airport, 49.1 miles from Royal House. 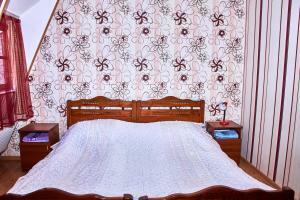 Located in Gori, Tamar Guest House offers a garden, free WiFi and free parking. The rooms feature a balcony and working area. Most rooms are air-conditioned. 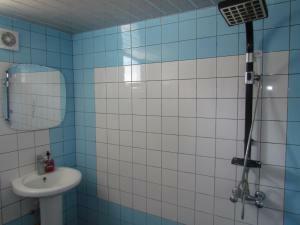 Guests use shared bathroom facilities. Guests are welcome to eat out in the cafes and restaurants nearby. There is a bar on site. Breakfasts in the room, room service and grocery delivery are provided upon request. Gori Train Station is 1.7 km away, and Tbilisi International Airport is 105 km from Tamar Guest House. 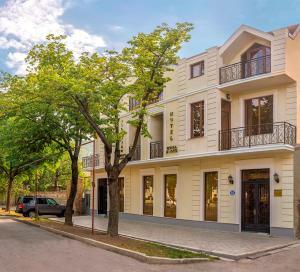 Located in central Gori, Stalin Guest House is a homelike guest house just 150 yards from the Stalin Museum, and 900 yards from the Gori Fortress. Free WiFi is available throughout. 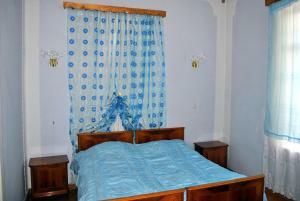 The individually decorated rooms are air-conditioned and come with a TV with cable channels. 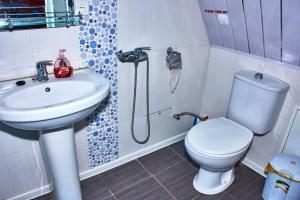 The private bathrooms offer either a bath or a shower, and guests can enjoy a shared lounge. 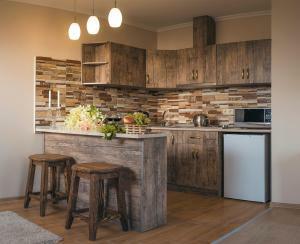 Meals can be prepared in the shared kitchen which features a fridge and a dining area. 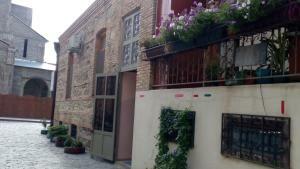 There are numerous shops, restaurants and cafes within 15 minutes’ of the property. Bicycles are available at the property to explore the city, or visit the famous Uplistsikhe ancient rock-hewn town, 8.7 miles away. 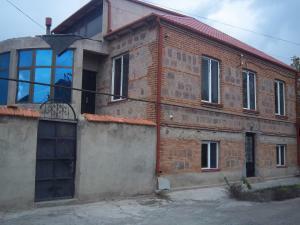 There is free parking at the property, and Tbilisi International Airport is 62.1 miles away.